Pennovation Works at 34th and Grays Ferry Avenue, the University of Pennsylvania’s newest campus for research and innovation, officially opened in October 2016. The 23-acre property’s signature building, Pennovation Center, is an industrial holdover from when the site was home to the DuPont Marshall Research Labs. The old paint factory was adapted and redesigned by architects Matthais Hollwich and Marc Kushner (with KSS Architects) and now houses shared desks, wet labs, common areas, a “pitch bleacher,” and other hallmarks of a tech incubator. The rest of the site, formerly called “South Bank” by Penn, is a blend of lightly-refurbished industrial buildings that serve as affordable and flexible workspaces. The mission of the campus is to provide a place for researchers and entrepreneurs to easily set up shop and cross-pollinate with one another to generate ideas, creativity, and innovation. For more than two centuries this riverfront site has been a platform for industry, research, and entrepreneurship. It began as part of George Gray’s eponymous ferry crossing, became the headquarters of chemical manufacturers Harrison Brothers & Company, and, most recently, served as a DuPont laboratory for paint production and research. Each phase of the sits history has demonstrated technological advancements that have influenced Philadelphia’s development and benchmarked the evolution of industries that have shaped the nation. At a time when South Philadelphia was mostly farms and country homes, George Gray’s ferry service was a major enterprise on the Schuylkill River. Known as the Lower Ferry, the crossing was the southern entrance into Philadelphia throughout the 1700s. A ferry had operated there since about 1690, but Gray capitalized on and trademarked the service. After inheriting the ferry and nearly 200 acres of land on both riverbanks in 1749, Gray leveled and widened the road to the river and built a tavern and a house on the west bank of the Schuylkill River. Following the Revolutionary War, Gray converted the ferry service into a floating bridge that could move aside for ships navigating the river. A few years later, the family developed Gray’s Gardens with the help of designer Samuel Vaughan. The public garden was built as an attraction to draw guests to the tavern. Winding paths led to a whimsical landscape of grottoes, waterfalls, fictitious hermitages, and greenhouses showcasing exotic plants. Gray’s Gardens was a key feature in the local horticultural movement of the time, including both The Woodlands and Bartram’s Gardens on the west bank of the river and Landreth’s Seeds located nearby in South Philadelphia. As industry reshaped Philadelphia’s riverbanks, the Gray’s Ferry passage also transformed. In 1838, the Philadelphia Wilmington and Baltimore Railroad (PW&B) replaced Gray’s Ferry with a permanent railroad bridge. Named the Newkirk Viaduct after PW&B president Matthew Newkirk, the bridge created the first direct railroad connection between Philadelphia and Baltimore, an achievement commemorated by the Newkirk Monument. With this new infrastructure, the area around the Viaduct became especially well-connected and convenient for industrialization. From the South Bank site (now Pennovation Works) and its surroundings, factories had access to both the railroad lines leading directly out from the city as well as the riverfront, where the river was deep enough for large ships to dock. The developed waterfront was also downstream and far enough from the rest of the city and its drinking water supply, which allowed it to be a setting for industrial chemicals and other noxious land uses. From the 1850s, businesses in the area included Henry Bower’s Ammonia Works, Kalion Chemical Company, Ehret Jr Tar Works, Grays Ferry Printing Ink Works, and Grays Ferry Abattoir, a slaughterhouse. These similar businesses were an industrial ecosystem, benefiting from each other’s similar products, waste, and labor force. In 1865, the South Bank site was the home of Harrison Brothers and Company, a leader in sulfuric acid production. John Harrison (1773-1833) was the first manufacturer of sulfuric acid in the United States, a major component of the industrial age. Born in Philadelphia, Harrison studied briefly in England under Dr. Joseph Priestly, the discoverer of oxygen. He began producing sulfuric acid in Philadelphia in 1793 and continued to refine and improve upon his process over the next several decades. Sons Thomas Harrison, Michael Leib Harrison, and George Leib Harrison continued with the business after his death, stepping up production as demand for industrial chemicals grew dramatically. After the Civil War fertilizer and petroleum production consumed more sulfuric acid than ever before. In just a decade, from 1872 to 1882, sulfuric acid manufacturing in America increased by almost 1,000 percent, fueling the Harrison’s business. In 1865, the brothers, along with two more relatives, acquired the property on Grays Ferry Avenue and moved their headquarters from Kensington to the Grays Ferry site. The Harrison Brothers and Company (also known as the Harrison Brothers Chemical Works) property was constantly changing with new factories, chemical processes, products, and a growing workforce. As the business expanded, so did the site. The workforce doubled to 400 people in 1894 (including 40 children), and the facilities grew to cover 30 acres, with 70 factories, two miles of railway tracks, and almost a mile of waterfront. It contained a power plant, a private restaurant, and an athletic field. By this time, the facility was producing 5,000 tons of white lead every year, a mineral that was used to tint lead paint (and some cosmetics) thanks to its density, opacity, fast-drying time, and smooth texture when combined with dryable oils. Philadelphia architect Wilson Eyre, Jr. redesigned the main office building between 1888 and 1890. His Italianate design was likely an adaptation of the original building, which he refaced with a new exterior shell of stucco and brick and a top floor faced with four bays of round oculi. Due to their production of crucial chemical ingredients, Harrison Brothers became a pioneer of ready-mixed paint production. Prior to this time, paint was not readily available to the average citizen as it is today. Harrison Brothers produced nitric acid, muriatic acid, red and white lead, which they used to manufacture pigments and products like varnish and paint. Ready-mixed paints were a new industry in the mid-19th century, made available by improvements in tin cans during the Civil War. For the first time, consumers were able to easily paint their houses in an array of colors. As a result, house paint became a form of expression. With their “Town and Country” line of paints, Harrison Brothers grew to be one of the largest color manufacturers in the United States. Additional company offices opened in Maryland, New York, and Cincinnati, and 20 salesmen traveled the country promoting Harrison Brothers’ products. These developments of research and invention continued into the 20th century at the site. In 1917, the E.I. du Pont de Nemours & Company acquired Harrison Brothers, and the Grays Ferry factory became a laboratory for DuPont’s new Paints and Finishes department. Under its new ownership, paint manufacturing continued, while chemists worked on improving and inventing new types of finishes. Their research and testing at the Grays Ferry site resulted in inventions such as Duco lacquer, a quick-drying glossy paint for automobiles. Duco allowed cars to be painted much more quickly and in an array of colors. Dulux Enamel, another invention, was a cheap and durable coating for products like home appliances and passenger trains. In 1927 the Grays Ferry property was booming with activity. A report from that year counted 1,164 employees on the site and listed the business as the 40th largest industrial firms in Philadelphia. As industry in the city took a sharp decline in the late 20th century, manufacturing at DuPont also suffered. Responding to a new economic climate, activity at the factory shifted away from production and towards research. The John Marshall Laboratories opened in 1950 to provide more research facilities. Teflon non-stick cookware was developed in the test kitchens and laboratories of Marshall Labs (Teflon itself was discovered elsewhere), as were other products such as toothbrushes, can coatings, and floor finishes. Research continued, but manufacturing completely ceased at the site by 1980. With a downsizing of staff and a consolidation of activities, many of the buildings on the property were demolished in 1983, including all of the 19th century structures. DuPont’s operations completely shut down in 2009, and Penn acquired the property in 2010. The university worked closely with the State Department of Environmental Protection and the Environmental Protection Agency to clean up the property for its new use. Today, the campus is a generator for new ideas and talent. Dr. Henry Daniell is developing a method of using dehydrated plants to transport vaccines without refrigeration. Students and professors from the Penn Engineering Research and Collaboration Hub are creating autonomous aerial robots that fly in swarms. PennVet is training working dogs to act as detection animals to mitigate potential threats and find victims in natural and human-made disasters. As the Schuylkill River continues its revival with the much-anticipated Bartram’s Mile and extension of the Schuylkill River Trail, this industrial riverfront is once again becoming a place of connection and progress. 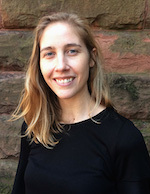 Madeleine Helmer is a graduate student in City Planning and Historic Preservation at the University of Pennsylvania and a student researcher at PennPraxis. Love this addition to the knowledge about one of the city’s most interesting corners.